Delicious, easy, and great for a party. 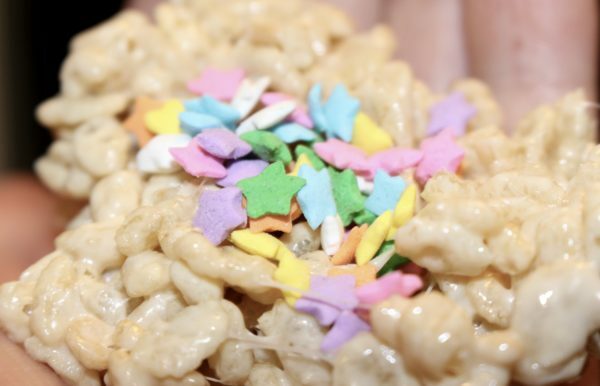 These are bite size Rice Krispie treats, covered in buttercream frosting and topped with pastel star sprinkles. The Jet Puffed Fun Mallows come in four flavors (orange, lime, strawberry, and lemon), and when melted down will add the fruit flavor. 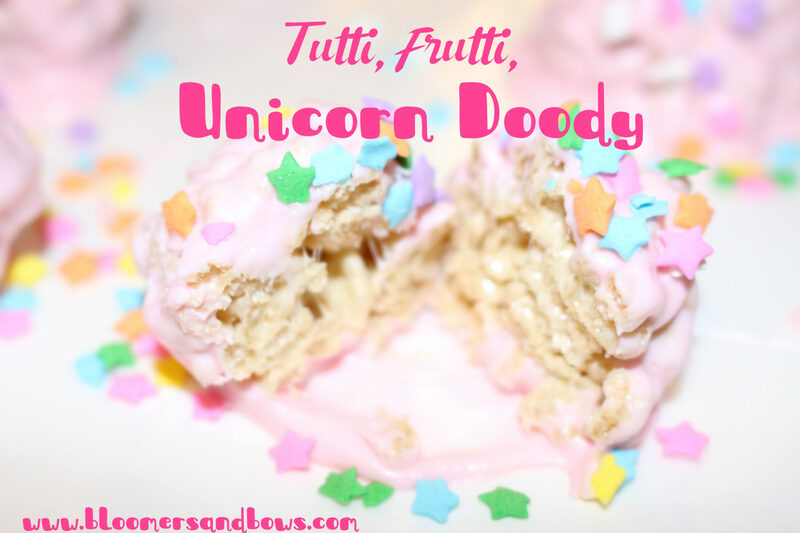 Add pastel star sprinkles, silver sprinkles, or edible glitter, to give it that Unicorn Pizazz. *This is not a sponsored post. This article does contain affiliate links which may provide Bloomers and Bows a small commission for items you purchase, at no additional cost to you. Thank you for supporting our site. 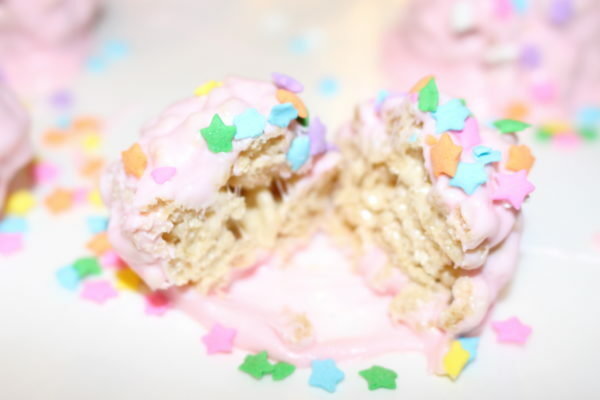 Delicious Rice Krispie treats covered in buttercream frosting and sprinkles. 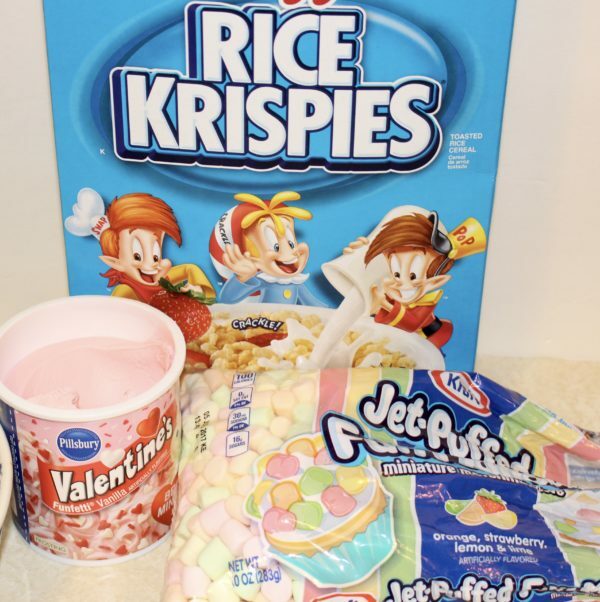 Great for a party, birthday and sugary treat. 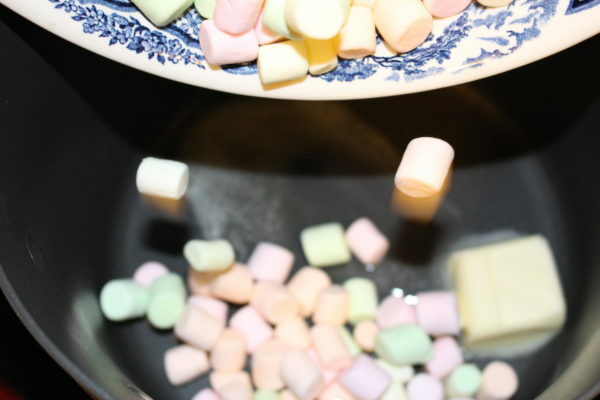 Melt butter and marshmallows over medium/high heat stirring constantly until completed melted. Use caution not to burn. 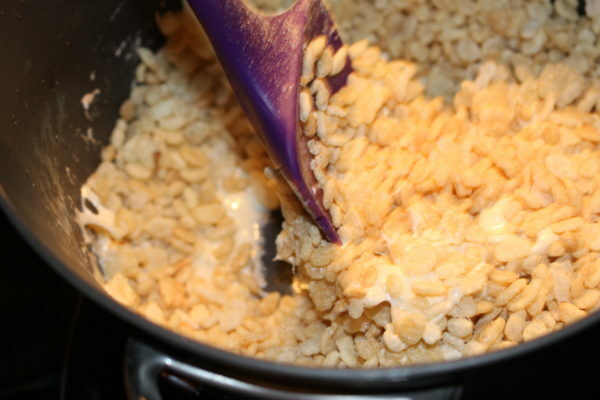 Remove from heat and stir in three cups of Rice Krispies until completely mixed. Let cool for about 10 minutes or more and separate into one inch balls. 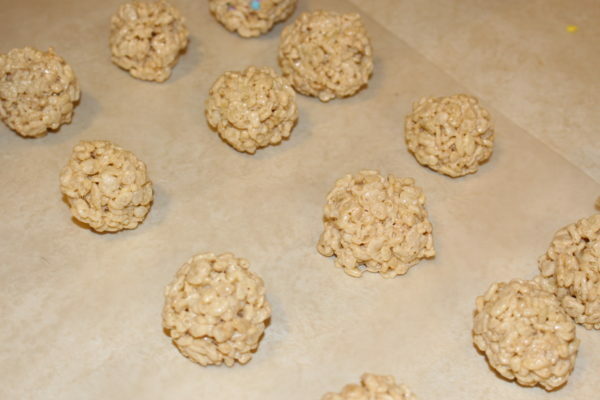 Use your hands, wax paper, or two spoons to help roll into balls. 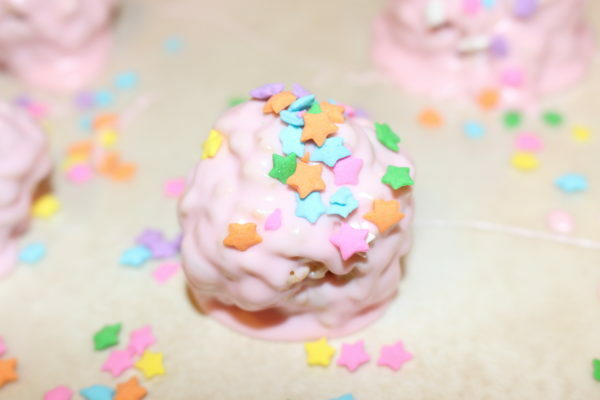 (If it's too hot, it will be too sticky to roll with your hands) If you want sprinkles in the center, add them now by making a small "birds nest," place the sprinkles in the middle and continue to roll into a ball. Place each ball on wax paper. 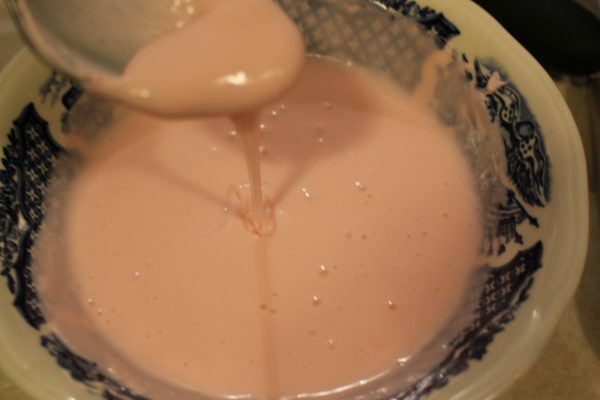 Melt frosting for 30 seconds in the microwave, stir. Frosting should be liquid consistency. 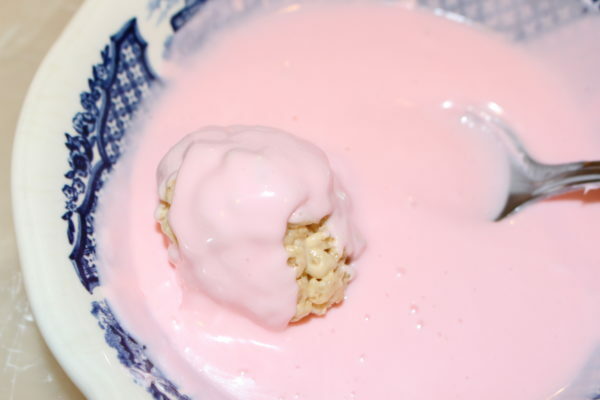 If needed, microwave in 15 second intervals, until it gets liquid consistency. Use a skewer or spoon to roll each ball in the melted frosting until completely covered. Add sprinkles and let cool on wax paper or in the fridge. Keep covered until ready to enjoy to avoid them getting stale.